Fungal diseases can be a real problem for gardeners, especially when weather is warmer and wetter than usual. Copper fungicides are often the first line of defense, especially for gardeners who prefer to avoid chemical fungicides. Using copper fungicides is confusing, but knowing exactly when to use copper fungicide is the key to success. However, fungal diseases are difficult to control and results aren’t guaranteed. Let’s explore these issues. 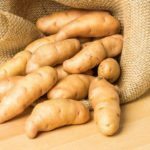 That said, its effectiveness is limited against late blight of potatoes and tomatoes. Because copper is toxic, it can also cause serious damage by killing plant tissues. 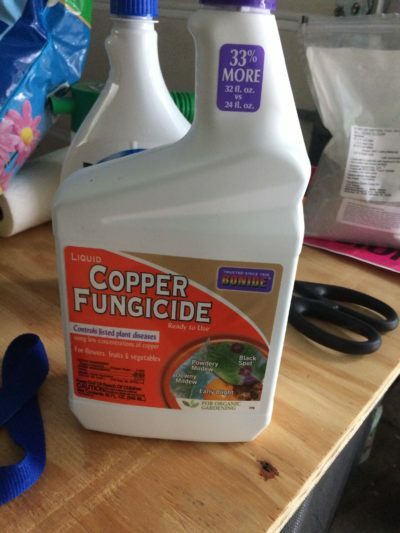 If you are considering using copper fungicide, be sure to read the label carefully. There are many formulations of copper products on the market, differing widely in the amount of copper, active ingredients, rate of application and other factors. It’s also important to note that copper doesn’t break down in the soil and can become a soil contaminant in time. Use copper fungicides sparingly and only as needed. Don’t expect copper fungicide to cure an existing fungal disease. 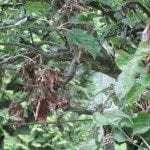 The product works by protecting plants against development of new infections. Ideally, apply copper fungicide before fungus is visible. Otherwise, apply the product immediately when you first notice signs of fungal disease. If the fungus is on fruit trees or vegetable plants, you can safely continue to spray every seven to 10 days until harvest. If possible, spray plants when you’ll have at least 12 hours of dry weather following application. Typically, fungicides are applied at a rate of 1 to 3 teaspoons per gallon of water. However, it’s critical to read the label directions carefully to determine rate of application for each specific product. Reapply the product every seven to 10 days because fungicides degrade after application. Fungicides are generally not harmful to bees. However, it’s best not to spray when bees are actively foraging on plants. Never apply copper fungicide on very hot days. Never mix copper fungicides with other chemicals. Never over-apply fungicides. Note: Contact your local cooperative extension office to learn specific information on copper fungicide uses in your particular situation. For example, some diseases are best treated in fall.